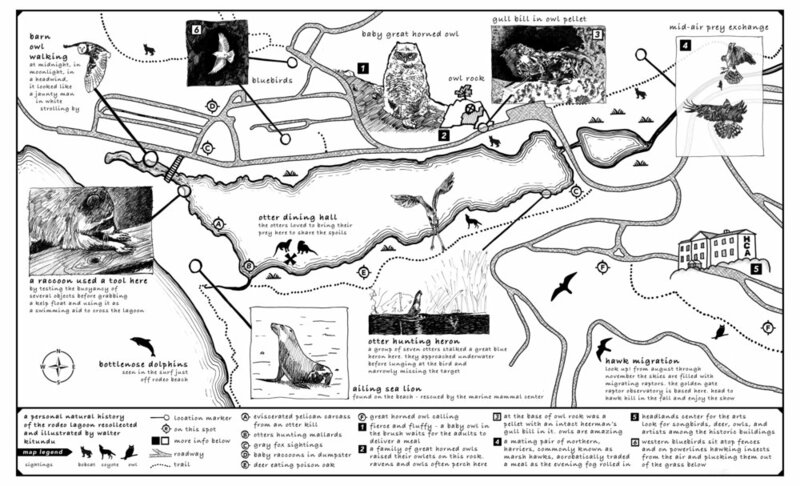 A personal natural history of Rodeo Lagoon recollected and illustrated by Walter Kitundu. Commissioned by Carrie Hott as part of The Key Room, a permanent, site-specific, art installation and visitor resource center created for the Headlands Center for the Arts. Opened March, 2016.